The RCBS ChargeMaster Lite gives you plenty of powder measuring capacity - 2 to 300 grain dispense range - in a compact package that takes up a small "footprint" on your benchtop. This is the fast, easy, extremely accurate way to throw powder charges! The ChargeMaster Lite may be small, but it holds up to 16 oz. of powder in the hopper. Program your load data into the dispenser via the large, easy-to-read, LCD touchscreen, and the RCBS ChargeMaster Lite will then dispense the powder charge with +/-0.1-gr. 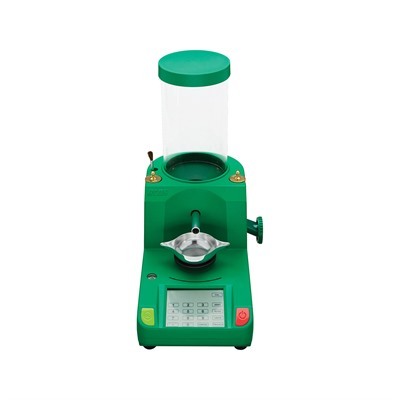 accuracy that’ll be the envy of other powder dispensers. The RCBS ChargeMaster Lite is designed to run on 100VAC-240VAC and comes with four different prong connectors that snap onto the 12-volt DC converter.